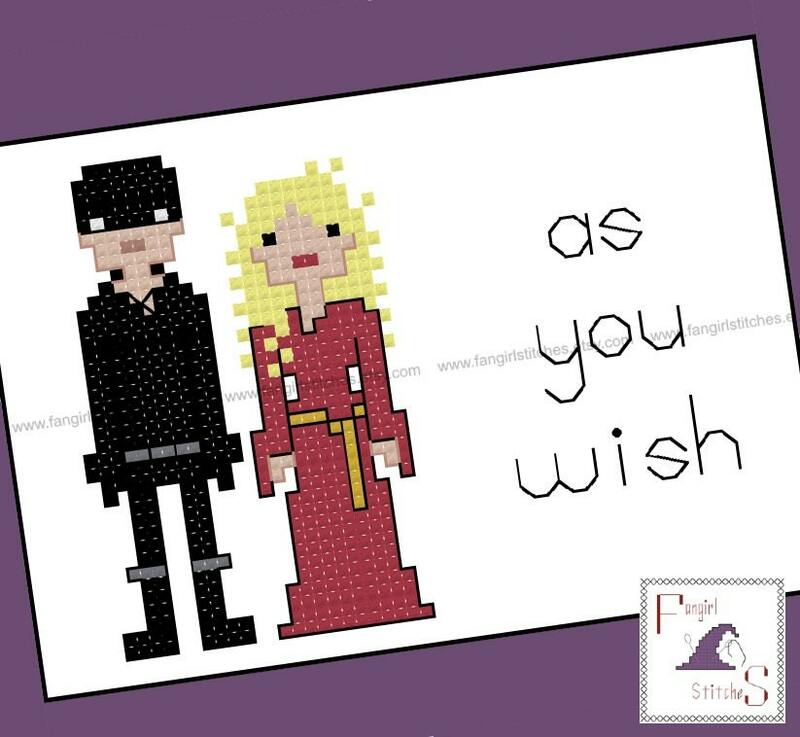 Recreate the romance of Buttercup and her Westley from the cult classic "The Princess Bride" with this cross stitch pattern. 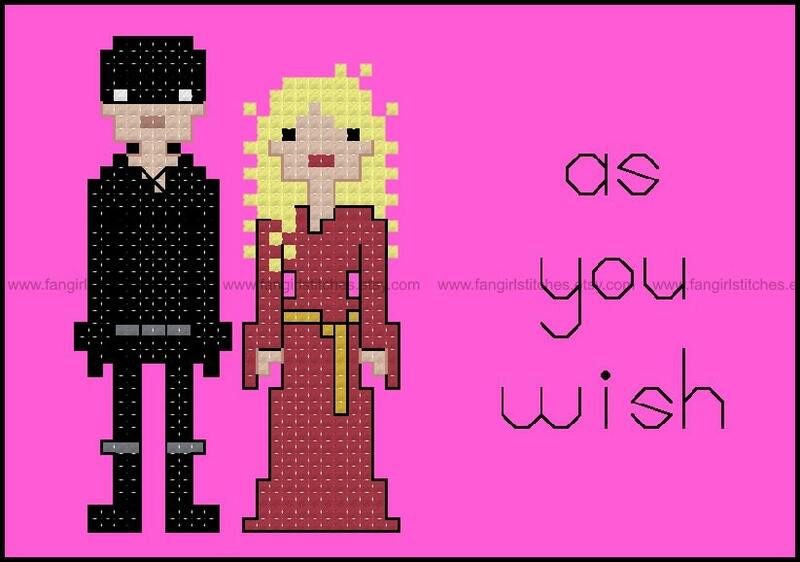 This design includes whole stitch and back stitch (with one French knot), and is suitable for beginners. This is a parody (inspirational) work. 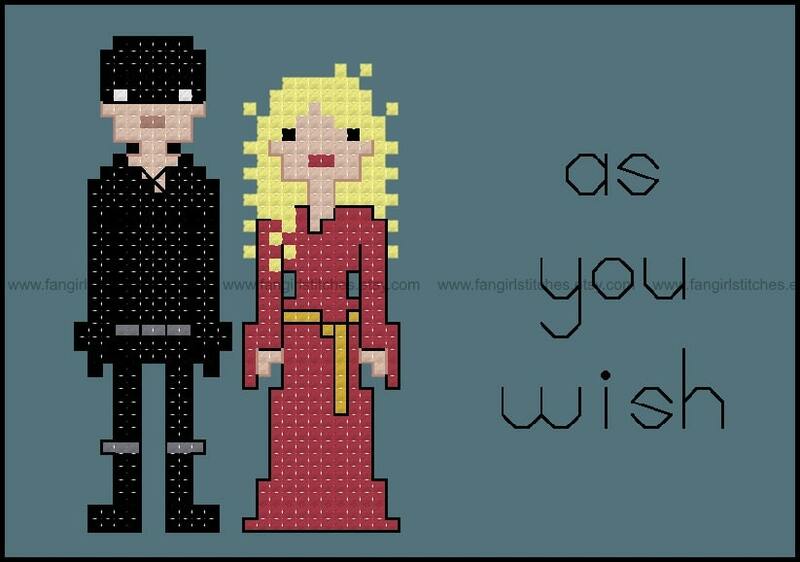 Princess Bride and its characters are copyrights and/or registered trademarks of 20th Century Fox. This production is not sponsored, endorsed by or affiliated with 20th Century Fox or any of its subsidiaries or affiliated companies and/or third party licensors.